in·trep·id (adjective): Having firm determination; characterized by bold fearlessness and unwavering endurance; having mental and emotional strength to face pain and adversity. 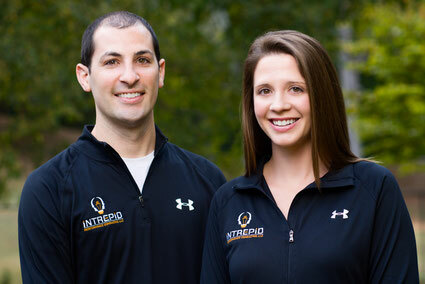 Intrepid Performance is an Atlanta-based consulting team that trains athletes on mental skills and human performance concepts to help them achieve performance excellence. We accomplish this by building relationships, understanding our clients' goals, and developing an evidence-based plan to improve performance. Through one-on-one sessions and team workshops, we foster mental skill development and eliminate ineffective habits. Our ultimate goal is for our clients to become more self-aware, gain an understanding of what techniques and strategies to apply to improve performance, and have the confidence to develop their own strategies for future use in sport, school, work, and life. Empowering you to take action, evaluate your progress, and adjust as needed.